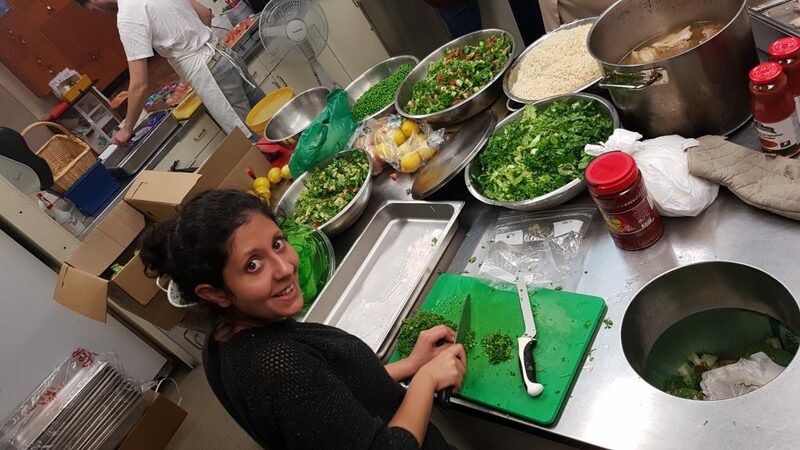 On November 1, RayCam Community Centre hosted Coast Salish and Syrian community members’ cooking skills for a sold-out dinner event. Taking over the RayCam gym, music and protocol were presented, and a delicious meal was shared. 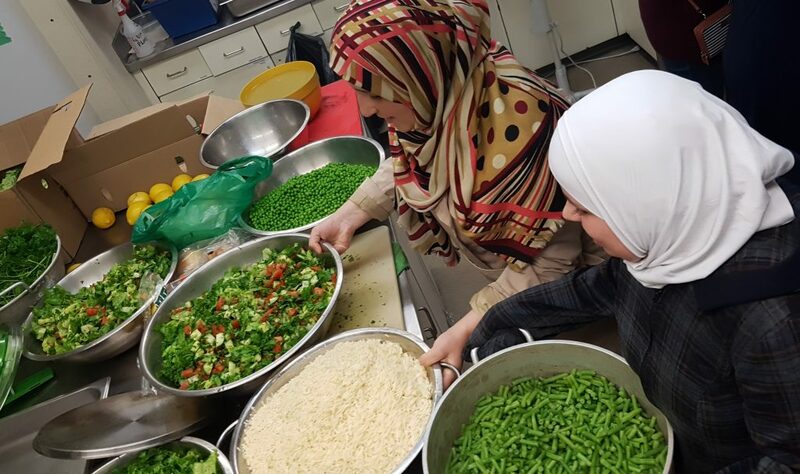 Members of Indigenous and Syrian communities came together for a meal which functioned as a genuine entry-point to each other’s cultures and the socio-political realities of carrying trauma, political conflict, and poverty. Foods were prepared by local Indigenous and Syrian cooks. 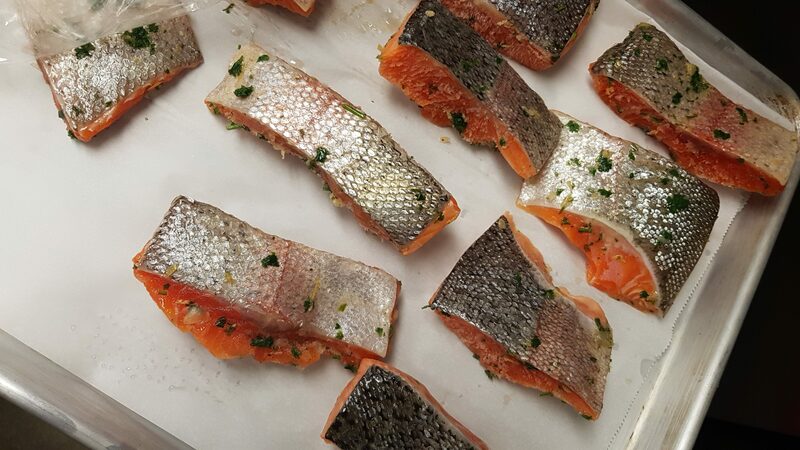 The menu featured baked salmon, bannock, and dishes from the Dara area of Syria, including tabbouleh, yogurt chicken, basil rice with vegetables and beef, and baclava and Turkish delight. A music program included a Coast Salish song and words about protocol. 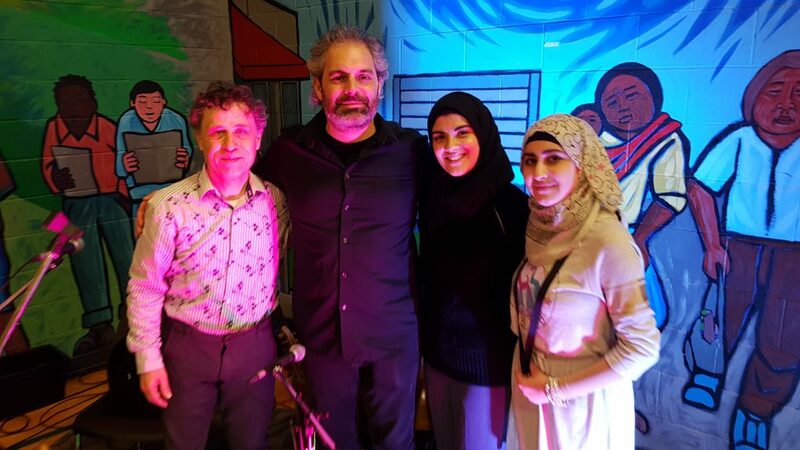 After the dinner, Emad, a vocalist from Syria, performed with local resident and improviser extraordinaire Gordon Grdina, who has had a lifelong passion for the sound of the oud (عود), a short-neck lute-type stringed instrument which is commonly played in Syria. The day started early with participants featured on the CBC Early Edition introducing the event, the various foods being prepared, and the desire to build relations between these communities through RayCam. “It’s a respectful thing for our nations to gather information [on] each other and get to know each other. 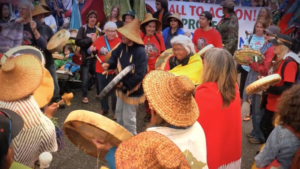 And to share what we were taught a long time ago from our people,” Seckwahmia from Musqueam told CBC’s The Early Edition guest host Renee Filiponne. 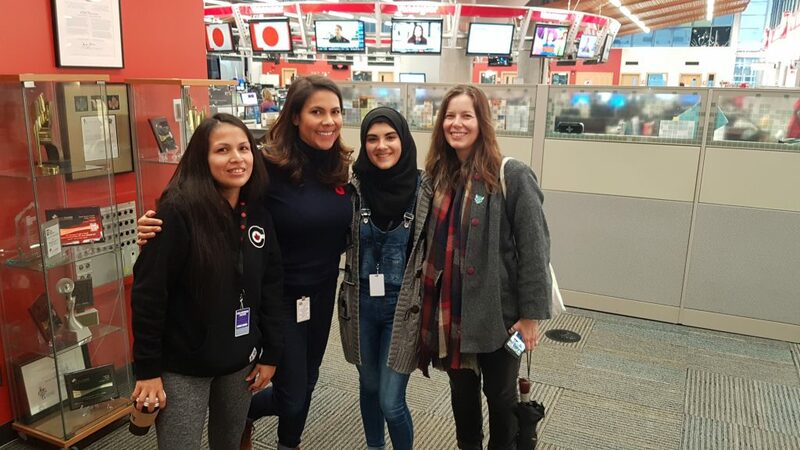 CBC Host Rene Filippone interviewed Robin Garcia (known as Seckwahmia, a member of Musqueam) and Jin Yusuf (a Kurdish refugee). Later in the day, CityTV also covered the event and highlighted their voices again. CBC Vancouver also published a web article on the issues connecting these two communities. RayCam is committed to supporting all members of our neighbourhood and believes understanding and mutual aid is the best way forward for communities overcoming structural poverty and social conflict. RayCam is grateful for the support from Heart of the City Festival, Sustenance Festival, Studio Full Bloom, Chef Lekker Catering, and volunteers and staff from Raycam Cooperative Centre.